I know I say this all the time. But man, having two girls is SO. MUCH. FUN. 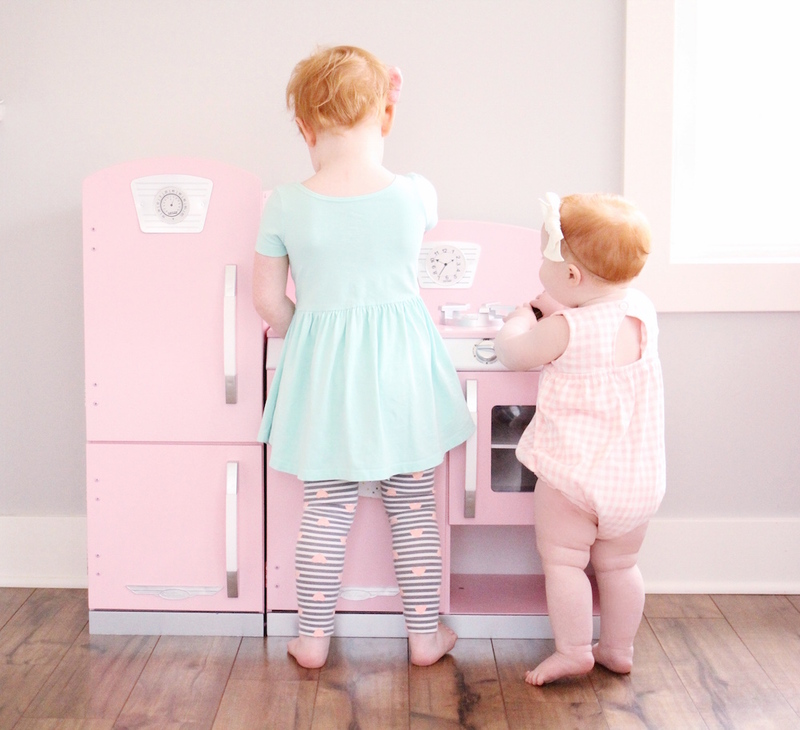 I always wanted a sister when I was little…so these two are SO lucky to have each other. And I’ll be sure to remind them of that fact over and over when they are teenagers. I’m partnering with Baby Dove for this post because it’s the only product I trust to take care of my girls’ sensitive skin. Sadie asks for “Anna-bellie” as soon as she wakes up. And when Belle sees Sadie each morning she points, and jumps, and gets so dang excited. I just love watching their relationship grow. It is my favorite thing. I hope they always feel this way about each other. Sadie is a little rough with her sister from time to time. I have to keep reminding myself that she’s only two. She doesn’t quite understand her strength. We are working on “gentle hugs” and “soft” touches…and she’s getting it…slowly. Luckily, Belle is one tough cookie and puts up with a lot. I guess that’s what you get when you are the third born. They are already two partners in crime. Whenever Sadie has a snack, Belle is the first one to come check it out and beg for one too. And big sister is happy to indulge her. The way that Belle looks up to her sister is something I never want to forget. But Sadie always goes back for a second snack. Stinker. Recently I’ve fallen in love with the Baby Dove Sensitive Moisture Baby Wipes. I’m VERY picky about wipes and these have become my new favorites! They gently clean their skin and provide instant moisturization. Plus, they are as gentle as water. Sadie has very sensitive skin on her face so these are perfect for her. One of my favorite things to do with the girls is to give them a bath together. Belle gets so excited when Sadie joins her in the bath. It’s the cutest thing ever. 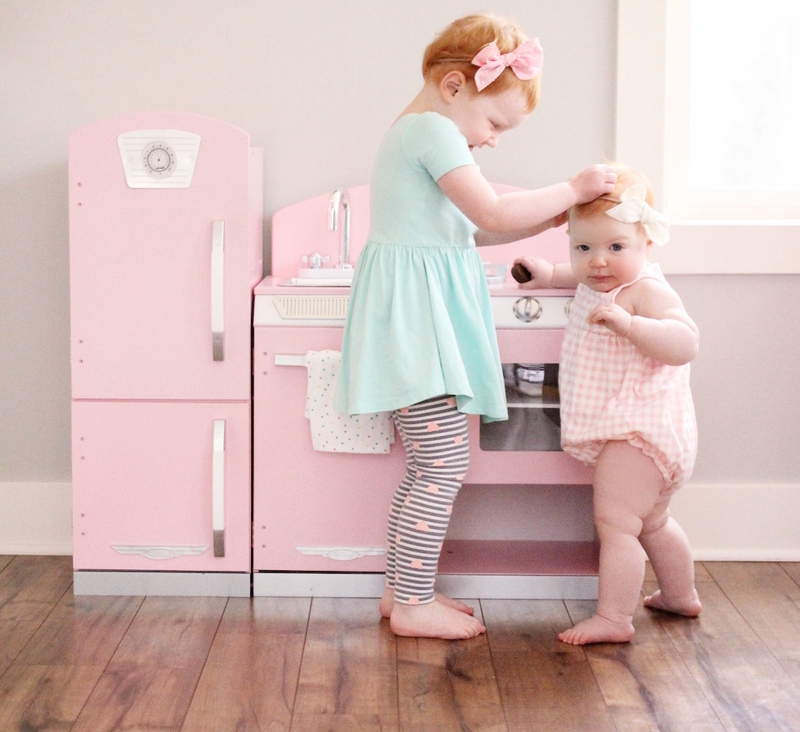 They love to splash and play together…and Sadie loves that Belle will copy everything she does. Their relationship grows more and more every day. Sisters really are the best. I’ve been using Baby Dove Sensitive Tip to Toe Wash at bath time and I’ve noticed a difference in both of the girls’ skin. My first baby, Hudson, never had any skin issues. His skin was always soft and perfect. As a new mom, there were so many things I wish I had known, especially when it comes to what products I am putting on my baby. When Sadie was born I wasn’t prepared for how to handle sensitive skin issues. She frequently broke out in dry eczema patches on her back and the backs of her arms. Since I’m an avid Dove user I quickly jumped at the chance to use Baby Dove products on her skin. 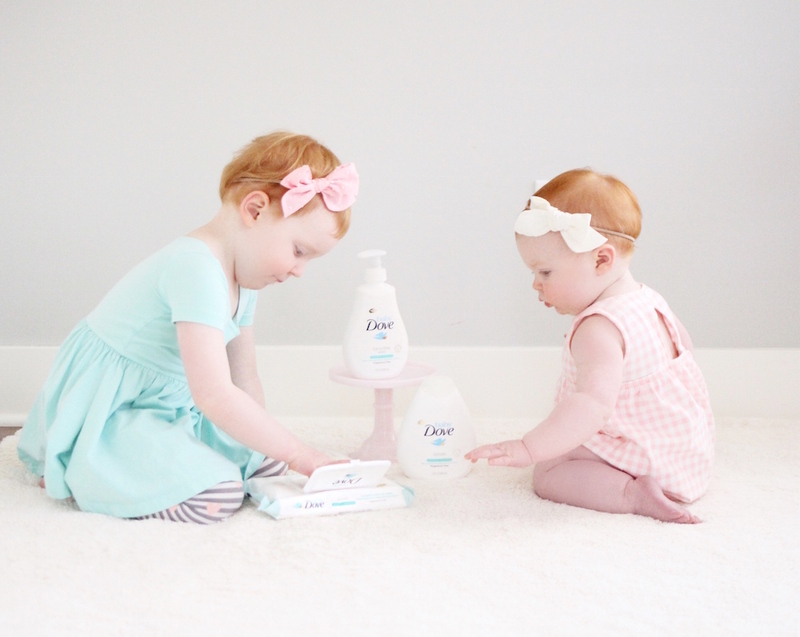 Baby Dove cleansers and lotions are made with 100% skin-natural nutrients for delicate baby skin. And are the only products I reach for on both of the girls now. I use Baby Dove’s Sensitive Moisture products on Belle, since she has the most sensitive skin of all three of my kids. The products are fragrance-free for sensitive skin and are hypoallergenic, pH neutral, and gentle on eyes. Only Baby Dove goes beyond mildness to replenish essential moisture and skin-natural nutrients lost in baby’s skin during bathing. 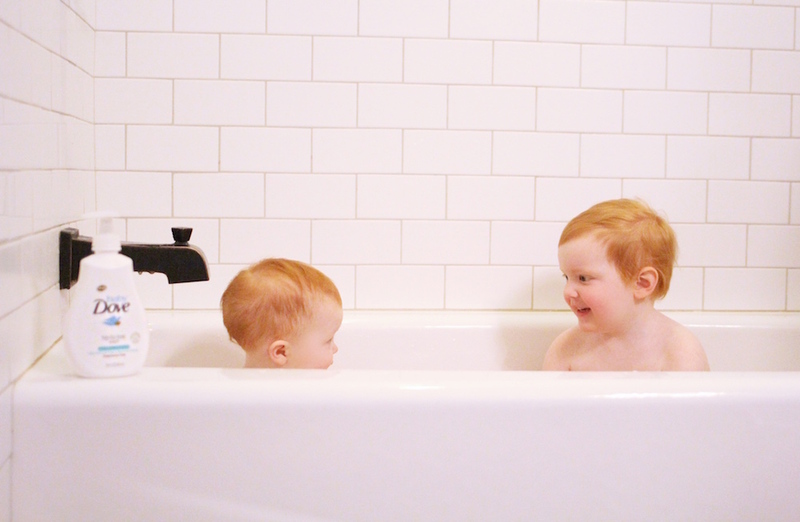 After bath I rub the Sensitive Moisture Baby Lotion on their skin and it leaves them feeling so fresh and so soft! It soothes their dry skin all day and is made with 100% natural ingredients, so I feel good about using it on them. While there isn’t one best way to be a mom, there is a best solution for baby’s sensitive skin. All Baby Dove products are dermatologist and pediatrician tested and hypoallergenic for all babies’ skin types. 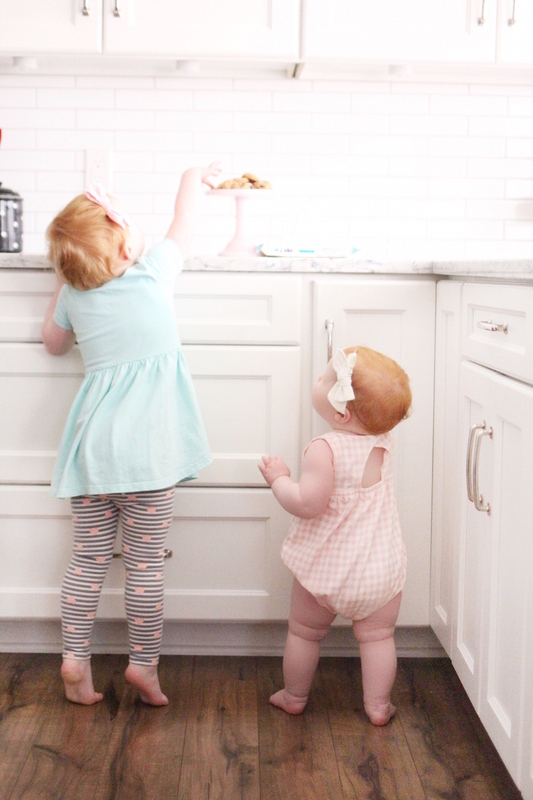 You can find out more about Baby Dove products on their website, and click here to sign up for a coupon to try Baby Dove products for yourself! This post was written by me in partnership with Baby Dove. Omg, they are seriously too cute! 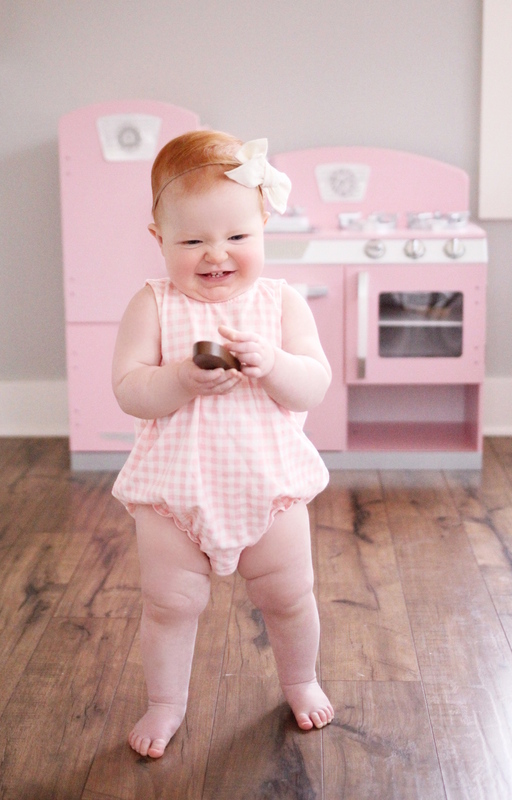 We love the baby Dove products too! And that bond is just precious! Love these pictures! 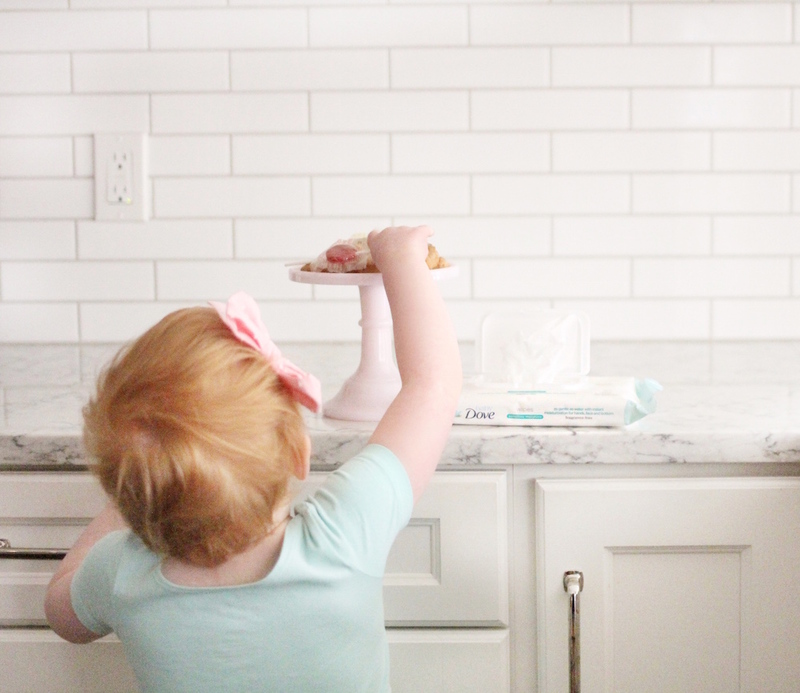 We love dove soap, so I’m sure the baby dove products are just as wonderful! It truly is the best! <3 I have a sister and I love her dearly! Oh my goodness they are so darling!!! I’ve always wanted a sister growing up! And we love Dove!!! Seriously the best!